While some of us consider Brussels to be a pretty sustainable city and others find it cool to bike to work, it's still undeniable that Brussels is a heavily congested city. In fact, it's the most congested city in Europe. In his daring new documentary, Sander Vandenbroucke explores this weakness of the Heart of Europe, discusses the reasons behind the heavy traffic and argues why more biking could be a solution to a more friendly and less chaotic city. 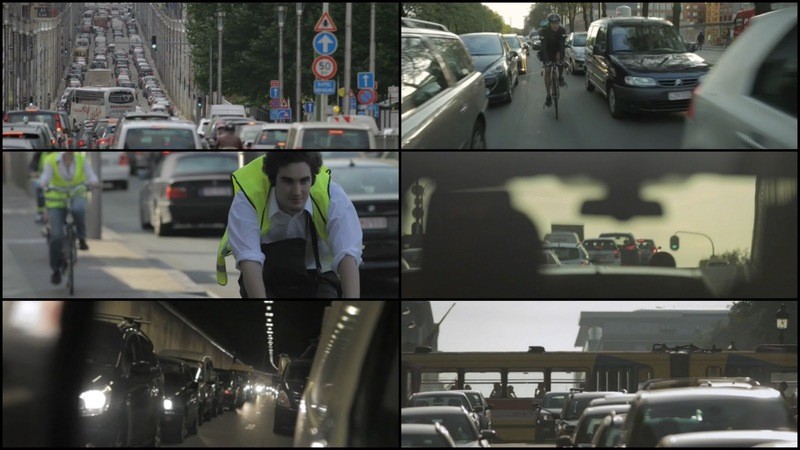 Brussels Express is a short 20 minute documentary about cycling in the most congested city of Europe, Brussels. It shows the story of couriers from Pedal BXL, whose claim is that bikers do it better. And, despite the risk, they must do as they manage to deliver small parcels in less than 30-60 minutes. Anyone who has ever been stuck in a car or a taxi in Brussels will know what I mean. So what's keeping people from biking to work instead of using their car? In Brussels, 70% of car rides do not exceed 5 km, the perfect distance to bike. In the movie, some bikers argue that the traffic in Brussels is dangerous and unpredictable and say it's a huge risk that not everyone is willing to take. I do agree, but I've also seen a positive evolution in recent years. The more bikers there are out there, the more drivers will be familiar with them. And this will also influence the authorities to install more (and proper) bike paths and specific road signs. Also, for those who cannot bike, public transportation of Brussels is not bad compared to many other European cities. It's true that the waiting time can be long... but isn't it longer (and duller) to wait in a car in a traffic jam or to spend half of your travelling time trying to find a parking space? We can claim that the authorities should set the example, but ultimately it's our personal responsibility to contribute to building a more friendly city environment. Trailer Brussels Express from Sander Vandenbroucke on Vimeo.